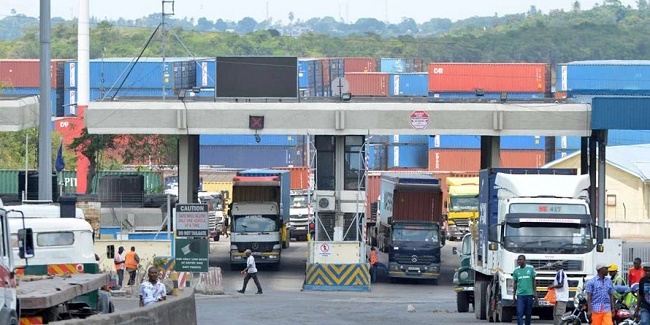 As reported by the Secretariat of the Northern Corridor Transit and Transport Coordination Authority (NCTTCA) to the 14th NCIP Summit, the Northern Corridor Time Release Study revealed among others that Goods under Single Customs Territory (SCT) are cleared faster at the Port of origin (Mombasa Port), One Stop Centre level, Document Processing Centre and Various Border Posts. This has been clearly evident at the Port of Mombasa through the analysis of the time taken by Single Customs Territory goods from offloading to arrival at the exit gate. During the 13th NCIP Summit held in Kampala, the Single Customs Territory (SCT) Cluster and the NCTTCA Secretariat were directed to closely follow up on the Time Release Study (TRS) and report to the next NCIP Summit. The NCTTCA Secretariat was at the same time directed to report on the Northern Corridor performances and to identify areas for improvements. At the time of the Time Release Study, all imports to Rwanda were under SCT and only selected products to Uganda were cleared following the SCT procedures. Other Imports to South Sudan, Burundi and DRC were still using the previous transit regime. Comparing times taken to move goods through three Customs regimes that were in place namely; Home Use,SCT and Transit Goods, Cargoes travelling under the Single Customs Territory are cleared and arrive at the Port Exit Gate within 13.5 hours of being offloaded; while those travelling under Home use and Transit regimes take over 72 hours (3 days) and 144 hours (6 days) respectively. At the Malaba border posts, the impact of the Single Customs Territory was also seen through the total time taken at the Malaba border crossing being substantially less than 7 hours for goods travelling under Single Customs Territory compared to 5 Days for Home Use Goods or 19 Hours for others goods in Transit. The impact of the Single Customs Territory was also seen in the lower dwell times for trucks at the inland stations. The NCTTCA Secretariat reported that recommendations from the Time Release Study were discussed with Revenue Authorities and other Stakeholders (Road Authorities, Ports and Inland Container Depots) and a number of the recommendations have already been implemented. Those recommendations/challenges include: Putting in place interconnected computer systems; Ensuring that when unplanned outages inevitably occur, electronic processing can still take place and that there is not a requirement to rely on manual processes; Establishing a regional “Authorized Economic Operators’’ programme. The Terms of Reference, for the Northern Corridor Time Release Study did not however include impact of the Single Customs Territory on the Cost of Doing business along the Northern Corridor. The 14th Northern Corridor Integration Projects (NCIP) Summit held on 26th June 2018 in Nairobi directed once again the NCTTCA Secretariat to continue monitoring the Performance of the Corridor and report to every NCIP Summit.